The old adage says it best: you get what you pay for. When it comes to skin care products, professionals agree that this holds true. The sea of over-the-counter products at the drugstore is overwhelming to shoppers. 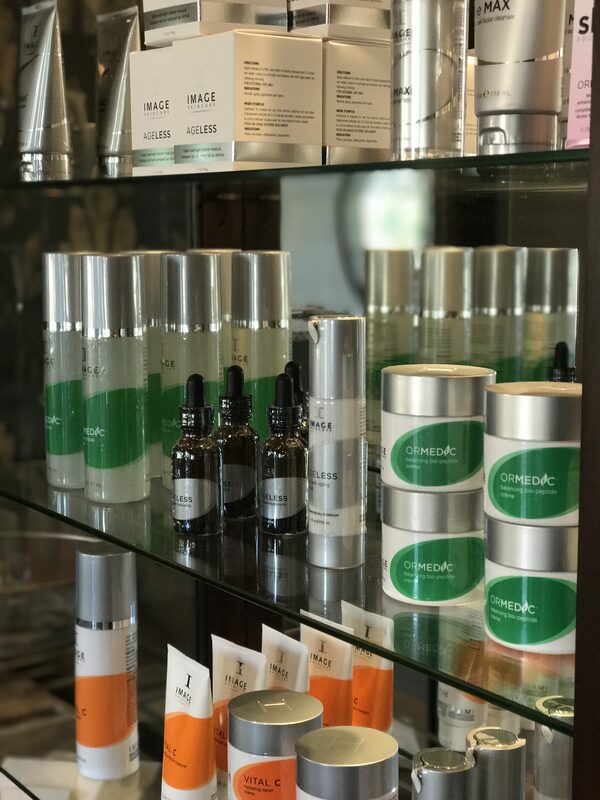 Save precious time by skipping the checkout lines at the store, and come to the skin care experts at The Village Spa in the Village of WestClay in Carmel. Skin care and luxury are our expertise, and it shows in our professional-grade products. Just like the foods you eat for the nourishment of your body, it is important to know the ingredients and origin of the topical products used on your skin. Featuring tips from Skin Script, comparing over the counter (OTC) products to professional-grade products makes your skin care decisions crystal clear. What is the difference between OTC and professional products? Professional products are made in smaller quantities, as compared to OTC products, for accuracy and precision in the formulation. Professional products have a higher concentration of active ingredients for stronger potency and effectiveness, as opposed to OTC products. Professional products are tailored to specifically target individual skin care needs, while OTC products are broad for a generic audience. Professional products, unlike OTC products, are free from harsh chemicals, fragrances, colors, and dyes. Are professional products worth the money? OTC skin care products are often made with lower quality, less expensive ingredients. Therefore, when comparing OTC products to professional products, it may seem like OTC is less expensive. However, be mindful of how frequently you’re purchasing OTC products, and you may discover it is not the cheaper option. Professional products have more concentrated active ingredients than OTC products, so a little bit goes a long way, meaning fewer trips to the store. With the added benefit of positive results, the professional products make the most sense for your pocketbook. Don’t trust the marketing gimmicks of the corporate skin care companies selling OTC skin care products. Your skin is in good hands with our professional aestheticians recommending professional-grade products. Our experts are available to guide you during your product purchases. Take the guesswork out, and choose the best for your skin with Image Skincare professional products. Call us at (317) 853-6350, or book online to schedule your next appointment with The Village Spa.